If you’re looking for great all-inclusive deals in Queenstown you’ve come to the right place! Choose from our packages above, or have one of our experienced team personalize your ski holiday for you! Booking a Ski package with New Zealand Ski Packages is easy, as we take care of everything for you: your accommodation, lift passes, ski and snowboard rentals, child care, mountain transport to and from all mountains, car rentals and activity bookings. Have the time of your life in NZ’s adventure capital and see with your own eyes why Queenstown should be on everyone’s skiing bucket list. There’s no better place to enjoy a varied winter holiday. It has positioned itself on the world stage of outdoor adventures over the past 20 years and is the NZ skiing mecca. Nestled amidst the Alps of the South Island and besides the serene shores of Lake Wakatipu, you will never get tired of the views of The Remarkables mountain range rising behind the lake. Queenstown’s resort town is high energy and offers great shopping, top restaurants and cafes, nightlife, ski and snowboard hire and a huge selection of ski and snowboard shops. It has a vibrant nightlife and is buzzing with festivity and fun activities. If you love to take an adventure – think Bungee jumping, Skydiving, Jet Boat, White Water Raft, Canyon Swing, Zipline, Luge, you name it – Queenstown is your next ski destination! Plus, the resort has endless hectares of heli-ski terrain. Lay your tracks in untouched terrain and pristine fresh powder snow. With our packages, you will enjoy skiing at two world class winter resorts, Coronet Peak and The Remarkables. Coronet Peak proves itself as one of New Zealand’s most exciting ski resorts. Take in the breathtaking scenery, captivating views, well-groomed slopes, complemented by a vast array of restaurants, cafés and other après ski activities. Just a 20 minutes’ drive from downtown Queenstown, Coronet Peak offers 4 chairlifts and 4 learner conveyors, leading to great runs for both beginners and advanced snow lovers. Plus, it is the only ski field in New Zealand that is open for night skiing. Coronet Peak stands for excellent family skiing and is also the best ski field for learners and beginners. Child care is available on the mountain and mountain transport is offered regularly to and from central Queenstown. Being the highest ski field in the area and with 100 snowmaking guns, The Remarkables is sure to offer the ultimate New Zealand ski holiday fun. Drive 35 minutes out of Queenstown and you reach the world-famous Remarkables Mountain Range. This iconic ski resort has 4 chairlifts and 3 learner conveyors, with 7 trails and 3 terrains providing perfect conditions for learners and pro’s. With an impressive average 3.67 metres of snowfall, The Remarkables give you the true alpine mountain experience. Offering excellent childcare facilities and slopes ideal for families, The Remarkables is better not to be missed. An excellent ski school offers courses in skiing and snowboarding to give learners the best start to any ski holiday. And with three cafes and restaurants après ski is never far away. No matter which package you choose, we make sure that it’s spectacular. 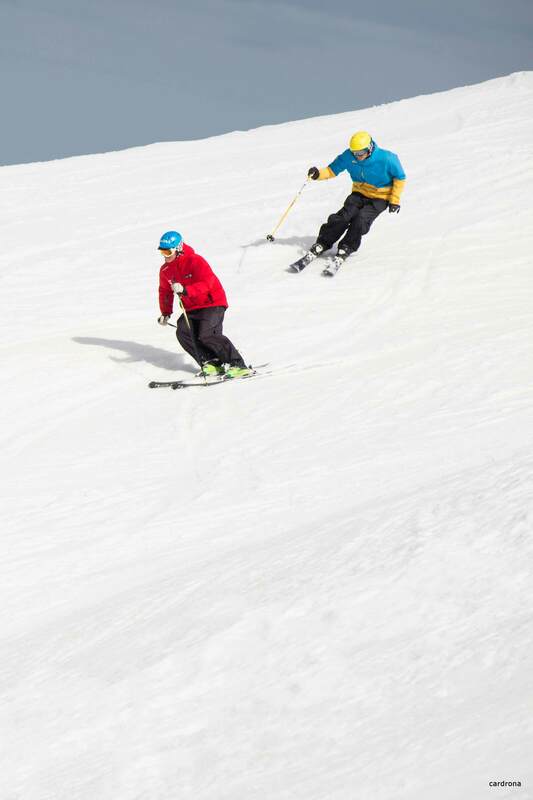 Beginners, intermediates, advanced – the skiing fields will please skiers and snowboarders of all levels. Lift passes: The NZSki Pass gives you access to Queenstown’s premier skiing fields, covering both Coronet Peak and The Remarkables. Accommodation: We have top hotel partners, ranging from 3.5 lodges to luxury 5 star hotels. All have high quality standards and ensure great value for money. We will find the perfect accommodation for you, so you can have a reenergizing sleep before hitting the slopes. Do you want to get the maximum experience on the ski fields? Take a look at our Queenstown Ski Surpreme packages. Any of our packages can be customized as much as you need to make sure your winter holiday in and around Queenstown has everything you look for. Or completely design your own. Tell us what your dream package looks like, and we will make it happen! The sky’s the limit–literally! If you’ve never skied or snowboarded before, we have a wide range of learn to ski packages that include lessons designed to build your confidence on the snow in no time. To make your holiday planning even easier, we provide you with all the information you need to get to Queenstown. Queenstown is located on the South Island, with an International Airport offering day and night flights to all corners of the world, with direct flights to and from Sydney, Melbourne, Brisbane and the Gold Coast. The airport is just a 10-minute drive from the town centre. Whichever of these airports you travel to, there are a lots of transport options to choose from. Flying into Christchurch or Dunedin, a choice of car rentals, private shuttles or regular bus services will get you to your final winter destination. It takes longer, but the route rewards you with some of the most stunning landscapes in New Zealand. Are you ready to have the time of your life on the most stunning skiing fields of New Zealand? 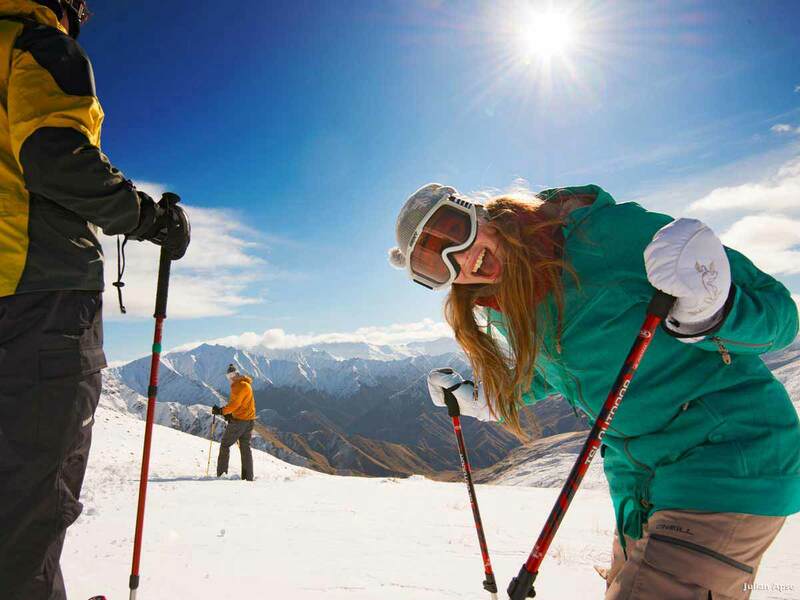 Enquire now for the hottest Queenstown skiing packages this winter!